Over the years, Port-La Nouvelle has forged a solid reputation for reliability. Since 2008, the regular investments from the Regional Council of OCCITANIE and the Chamber of Commerce of Aude have allowed a complete diversification of port activities. Due to the ever-increasing size of ships, the ICC and the Regional Authorities decided to plan a deep sea port expansion. 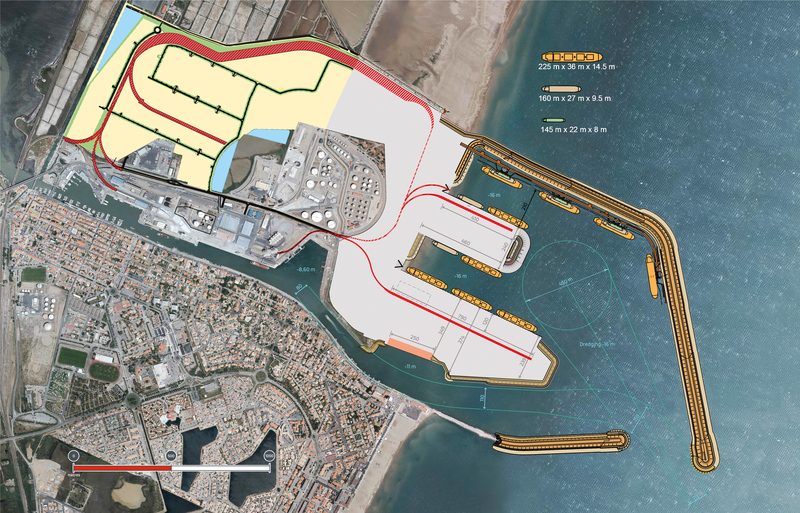 The future port will offer new berthing facilities to ocean-going vessels up to 14.50 m admissible draft, thereby opening the port to new markets The long term aim of the future port is to develop traffics whilst attracting new projects and trades. Today Port-La Nouvelle only serves the Mediterranean Rim, Northern Europe and the West Coast Africa. Tomorrow, the port will have better international connections and will be more attractive for both existing and new customers. In addition, the future infrastructure will deserve the emerging offshore floating windmill industry as 2 wind farms will be located at sea, near Port-La Nouvelle. The construction of the floats as well as the assembly of the upper parts will be done in the future port area. 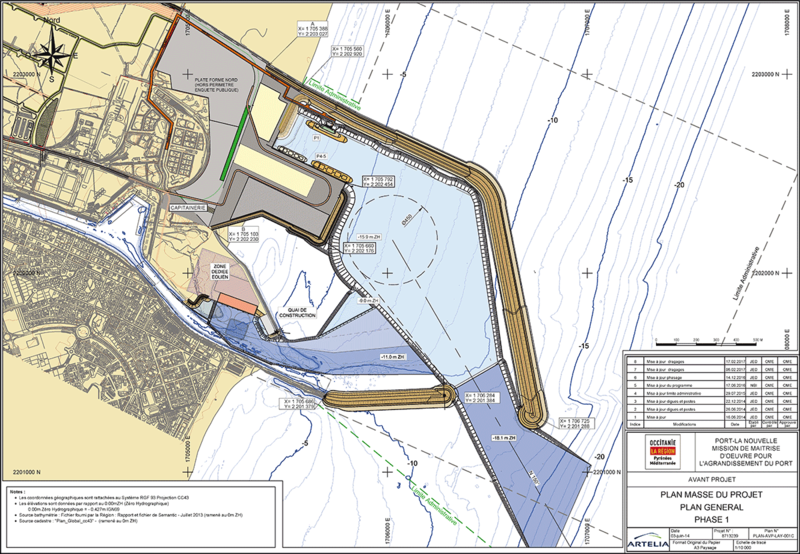 The port expansion is planed in several phases of work. The first construction step proposed by the Regional Council is shown in the sketch below. After above Step 1, other development phases will follow inside the new outer harbour. The following sketch represents an option for the final configuration of the future port. For any investment, logistics or industrial project, please feel free to contact our Commercial Department.